The Office renders its services for twenty-four hours, under the supervision of the head of student services. As depicted in the following organizational Chart, it has a total number of 92 employees: one head of student services, an administrative assistance, a secretary, a messenger, a Proctor Head, 5 proctors, 24 janitors, 4 Nurses, a Cafeteria supervisor and 53 Cafeteria staff members. The services provided by the institute are rendered to students on a cost sharing bases. To this end, all newly enrolled students are expected to sign a contract, through which they declare their consent to pay back their individual share of costs incurred by the institute for the services specifically indicated in the contract to the institute, on installment bases starting after their graduation (see sample contract form next page). 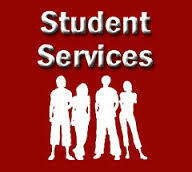 Each student of the institute has the right to get the services in kind or in cash. Students that are not eligible to get dormitories and all students that do not use cafeteria services will get the cash equivalent of the services. We have two Dormitory blocks, Block-A and Block-B. In each block, there are forty four dormitories, and four dormitories on the ground with a total capacity for nine hundred twenty six students – 200 dormitories for female students and 726 dormitories for male students. The facilities of dormitory are closely supervised by proctors’ offices. We have one head proctor and five proctors, of which three proctors for male students, two proctors for female students and out of them two night proctor and twenty four janitors. Dormitories are given only to students that came from regions and that apply to get dormitories. When the number of students that are eligible a exceeds the available dormitory capacity of the institute, it will try to ensure that most eligible students are provided dormitories at the arat kilo and sidist kilo main campus, in collaboration with the Addis Ababa University,. The dormitory capacity of the institute is expected to increase by 80 additional dormitories with the capacity of accommodating 320 students, when the building under construction is completed. Dinner From 10:30-12:00(4:30-6:00pm) to all eligible students. Students that prefer not to use the service can request to get the service in cash by filling and signing the standard form showed above that prepared for this purpose. Once the request is made, they will get the cash equivalent on monthly basis.